Our network builds the research community around Asian Australian Studies. New Perceptions of the Vietnam War: Essays on the War, the South Vietnamese Experience, the Diaspora and the Continuing Impact. The effects of the Vietnam War outside present-day Vietnam are ongoing. Substantial Vietnamese communities in countries that participated in the conflict are contributing to renewed interpretations. This collection of new essays explores changes in perceptions of the war and the Vietnamese diaspora, examining history, politics, biography and literature, with Vietnamese, American, Australian and French scholars providing new insights. Twelve essays cover South Vietnamese leadership and policies, women and civilians, veterans overseas, smaller allies in the war (Australia), accounts by U.S., Australian and South Vietnamese servicemen as well as those of Indigenous soldiers from the U.S. and Australia, memorials and commemorations, and the legacy of war on individual lives and government policy. 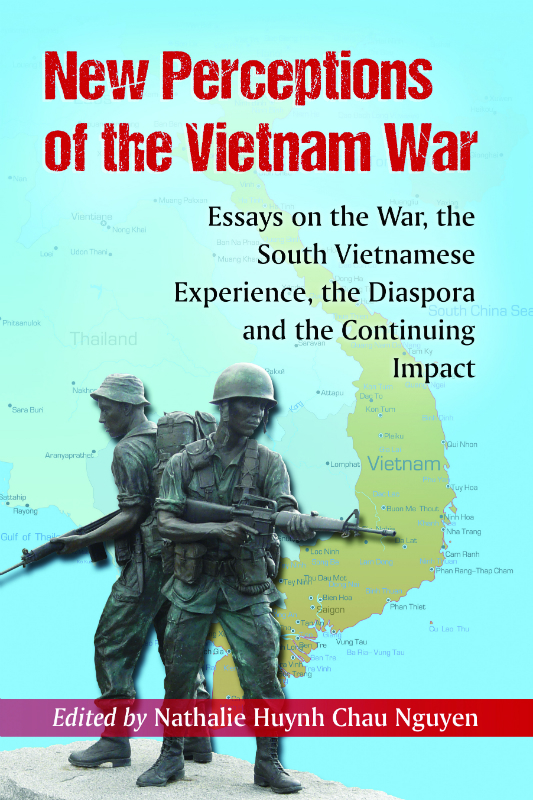 “Nathalie Huynh Chau Nguyen brings together a range of scholarly approaches in offering fresh perspectives on the Vietnam War. In particular, the firm redirection of attention to the Republic of Vietnam, its institutions and citizens is a most welcome development and one that should prompt a rebalancing of historical accounts which, till now, have largely elided the South Vietnamese from their history. Solidly based on a wide range of public, private, published and archival sources in English, French and Vietnamese, New Perceptions of the Vietnam War will offer much of interest to all those with an interest in one of the most important Cold War conflicts of the second half of the 20th century.” – Jeffrey Grey, UNSW Canberra at the Australian Defence Force Academy. AUTHOR BIO: Nathalie Huynh Chau Nguyen is an Associate Professor and Australian Research Council Future Fellow at the National Centre for Australian Studies at Monash University. Her books include Memory is Another Country: Women of the Vietnamese Diaspora (Choice Outstanding Academic Title, 2010) which was published in French as La mémoire est un autre pays: Femmes de la diaspora vietnamienne (Paris: Riveneuve Editions, 2013). Her fourth book, South Vietnamese Soldiers: Memories of the Vietnam War and After, is forthcoming with Praeger. Enter your email address to follow AASRN news and receive notifications of new posts by email.